We call upon you, as incoming President of the European Union to address privacy issues. 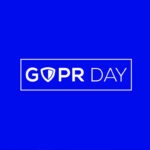 The European Privacy Association recognises the importance of data protection in today’s world, with an approach to privacy that constantly evolves to reflect the ever-changing technological innovations and uses. Data protection is a fundamental right. At EPA, we support the freedom of the Individual to decide whether to reveal their data or not and believe that privacy can be integral to the design and success of products/services for business. An impact assessment must be carried out on all proposed new laws across the European Union to ensure that they protect the privacy of EU citizens. – Assure that Member States are held to the same levels of accountability as the private sector Privacy issues are relevant in both private and public bodies. The EU must ensure that the public sector is held to the same high standards as the private sector in ensuring the security of data and privacy of the individual. the nature of networks, it is also important to work with the private sector to promote a coordinated approach.